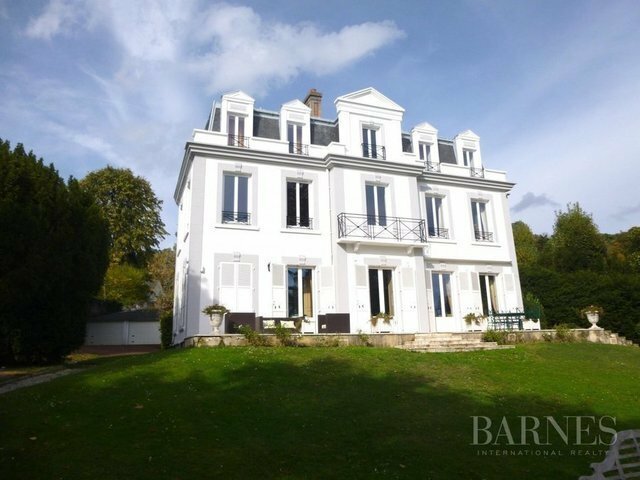 This 318 m² house dating back to the 19th century, is located in a private environment and has very neat general services. In a dominant position in a landscaped park of 6 029 m², it also offers a pleasant outdoor pool. On the ground floor: an entrance, a double living room with fireplace, a dining room with a coffered ceiling, a kitchen. On the 1st floor two vast parental suites; on the upper level, a mezzanine distributes four bedrooms. The basement offers a laundry / laundry room, a boiler room, two cellars and a wine cellar. This beautiful home magnified by a quiet and green environment is a place of privileged family life.